The latest edition of Richard Taylor’s newsletter Alzheimer’s From the Inside Out was published today. If you want a deeper understanding of dementia, and the people who live with it, I highly recommend you become a subscriber by clicking here. Please, please tell them, tell politicians, tell your neighbors to stop this madness. Millions die as does the hope for a cure, while the quality of their lives could have been improved had we a more humane and fact-based approach to the priorities of how we allocated dementia research dollars. Don’t walk for a cure. Fight to engage Alzheimer’s in those living with it, not primarily for those not living with it. Richard also has a great update on the international I Will I Can Idea Library, an online resource created by people living with dementia and their caregivers and advocates that Richard helped create. Anyone living with dementia, caring for someone living with dementia, doctors, advocates and others are invited to submit their ideas through this website. Through “words, photos and videos, they bring to the forefront their every-day coping skills, ideas for raising awareness, caregiving strategies, programs for living purpose-filled lives, and wonderfully inspirational stories, and they put a face on dementia that has not existed on a global scale until now,” Richard writes below. Those ideas are then organized into chapters in an online book directed towards people who benefit from the idea. More outstanding insights and resources below. Please subscribe and share! a person living with the symptoms of dementia. I am Richard Taylor, an almost 70 year old fully human being living with the symptoms of dementia, probably (maybe) of the Alzheimer’s type. Thanks (again?) for taking the time to read my musings about my life living with dementia in a world that believes the words Alzheimer’s Disease and Dementia are all inclusive place holders for the same group of people. Actually about half the people living with dementia have a form of it other than Alzheimer’s. This is a world that sees me as being in the midst of ‘The Long Goodbye’ as I face the ‘death sentence’ of my diagnosis. As the CEO of my National Alzheimer’s Association reminded us all, “Everyone who has Alzheimer’s Disease will die.” This stigma-reinforcing announcement ignores the fact that everyone is going to die, eventually. Boo! My symptoms started out surprising me, then became increasingly annoying, and are now constant interruptions to my life. I will not burden you with a catalog listing of how an increasingly failing memory, an undependable executive function, and my own fears and frustrations have changed my life. Trust me when I say my life is not what I wanted nor planned it to be as I reached the doorstep of old age. Self-distraction has become a way, a frustrating way of living. I completed almost nothing on the first, second, third, etc. attempts. It frustrates me, my spouse, my assistant, my family, and anyone waiting for a response to a question or an email. And now, far more so than ever before, when I do complete something it is wrong, inaccurate, messy, incoherent to others, and/or defies understanding many times even by yours truly. This just isn’t how the quality of life pre-old age should be. There is almost no chance/hope/possibility that within my lifetime the quality of life of those living with the early symptoms of dementia will improve, I believe. There is very little effort and money being invested into the real, everyday quality of life issues and solutions when compared to the increasing amount of effort and money being invested in the hunt for a “cure pill.” My government and the leaders of organizations professing to be looking out for my interests, for improving my quality of life are almost exclusively focused on “pill” research. Pills to slow down the progress so I can live a substandard quality of life longer, and/or pills to cure me so I can live a substandard quality of life even longer. So here I am trying to make some sort of edible, tasty, purpose-filled and enjoyable life out of the lemons, bitters, and spoiling food (my brain) with whom I am sharing space in my body. At times this task is overwhelming even to “keep on the sunny side, live fully in today” me. I try to be reasonable, accurate, rational in my thoughts and therefore in my feelings. Not so much, when you are living with the symptoms of dementia, regardless of the type. I try to remain open to my own misperceptions, mistakes, misunderstandings with others. Not so much, when you are living with the symptoms of dementia, regardless of the type. In fact, I do not, as a general rule, try as hard or as often as I previously did, much to the disappointment of family and friends. I do not try as hard to ‘stay ahead of my symptoms’ as I did several years, dare I say months ago. Now, I cannot always understand myself and my perceptions, misperceptions, pronouncements, and feeling – even when kind-hearted and loving people try to explain them to me. On ‘good’ days with clear moments, I am still capable of looking at myself and my dementia, and then commenting on what’s going on between my ears, in my heart, and in my mind. On many other days and moments I am lost, disoriented, befuddled, and incomplete in my understanding and appreciation about what is going on around me and within me. On good days, I am if I say so myself, insightful, funny, engaging, and open. On bad days I am confused, angry, withdrawn, and closed. Thus far, the good days far outnumber the bad days. But, the bad days seem to be coming in bunches, and the frequency of these bunches is increasing. It is trendy these days when confronted by something we do not like, to say, “It is what it is.” That may be so for flesh-eating bacteria, many forms of cancer, auto accidents, a piece of space junk falling on your head – but – dementia does not share any of the elements of these occurrences. It is something that exists in the mind, apart for a good deal of the time from the brain. The words, “Richard you have dementia” changed my mind, but not my brain. I could engage my brain within my mind for a number of years, and sometimes win, sometimes draw. Now, as my brain gains leverage over my mind I am losing more of the battles, and with the feelings that come with defeat comes a lessening of my urge to engage in new battles. It is not primarily what must be. I can still change, it just is harder, and it costs others and me more in terms of time, effort, and relationships. Alzheimer’s disease is not a thing, it is a label. It is not a beast, a death sentence, a soul robber, a life shortener. It is what you write yourself on the label. There are lots of people standing around passing out their own labels that they claim describes what Alzheimer’s is and is not. These were written by people who have never lived with the symptoms of Alzheimer’s they have lived with or around people who are living with Alzheimer’s. Others need to flush out as much uncertainty off of the labels as possible. They don’t want to live/work in an ambiguous world. Most unfortunately this is simply impossible. It leads to all sorts of stigmas, hoaxes, stages, theories, etc. All of which are then printed up on labels and passed around at conferences, support meetings, etc. If and when we can return to each other – that is when there is a chance of life becoming real again. When we fall in love, especially for the first time we start writing labels for our new loved one as fast as we can. S/he is simply wonderful at everything they do with you and to you. Then we spend the rest of our lives together slowly erasing this or that part of the labels, until we come to love or not love them as they are. And who they are changed – be it from illness, losing a job, acquiring a disability such as Dementia probably of this or that type. We are constantly relabeling, instead of laying aside the label machine and just accepting, understanding and loving them for who they are today. What was a good habit, becomes a bad habit. What helped us understand life early on frequently inhibits us from understanding it later on. But wait, maybe we learned so much about Alzheimer’s Disease, we should renew our hope and our financial commitment and should urge others to keep trying harder, not different. Chicago July 23, 2012 – “The Alzheimer’s Association, in its role as the leading advocate for the more than 5 million people with Alzheimer’s in the U.S., their caregivers and family members, closely observes the trials of experimental Alzheimer’s and Dementia therapies. There are an endless amount of failures we can fund. It’s been more than 20 years from the last incremental success. The fact that the drug engaged beta amyloid yet did not produce significant changes in how and most of the subjects remember seems to have escaped them. For years, they have been one of the leading proponents of this amyloid theory of what produces the symptoms (not what causes them – a fine line they sometimes forget to mention – no one ever claims to know the first cause). Maybe if you knew you never have symptoms, they can claim success?! What is wrong with this logic? What is wrong with this world? Dr. Ronald Petersen, director of the Mayo Clinic’s Alzheimer’s Disease Research Center said of the three drugs, “It may not be a home run in terms of improving memory and cognition, but if brain imaging or spinal fluid tests show the drugs are hitting their target, they will be regarded as successes.” (It was a strike out as far as Pfizer and the rest of the world are concerned!) Dr. Petersen is a very nice (I’ve been told by people whose judgement I trust), mostly reasonable person, but when it comes to Alzheimer’s Disease Research results I fear his bias towards Mayo Clinic, led of course by his center, discovering at least some fragment of the Holy Grail of Alzheimer’s Research – a pill to slow down or cure the condition – this bias clouds the fact finding and reasonable portions of his mind’s pronouncements. He too has seemed to have evolved, sadly I might add, into one of the Captains of the cure research cheerleading squad, at the expense of significantly more psychosocial research (which would take money out of the “cure” funds. Even when the team is losing, he cheers louder and more unreasonably- sure that victory is closer as a consequence of every loss. As every cheerleader knows their job is to keep the hope and spirits alive in the hearts of the crowd, in this case donors and the government, so they will come back again to cheer on a team with a 20 year losing record). It is of interest to note these results were not released a few weeks earlier at the annual cheerleading practice of Alzheimer’s researchers held this year in Toronto. Might have dampened the enthusiasm for the sport! Except it isn’t a sport, it is a building of false hope, a vacuum filled with relatively few researchers. Doesn’t he understand that if there is a small effect it could quite possibly be a placebo effect – that is why it must be a statistically significant (large enough) effect to consider the cause-effect claim to be valid? And this person is the scientific director for the Association. Wow! This rush to give drugs before symptoms, diagnose(dare I say predict/guess) before the symptoms appear, and then promote and sell more drugs for longer periods of time seems to be a new strategy after all the old ones. Wait until you have symptoms which haven’t produced any successes. Maybe if you knew you never have symptoms, they can claim success!? What is wrong with this logic? What is wrong this world? Where their hope rests on this almost admitted failure – the fact there were no unmanageable side effects, seems to be a shaky foundation to rest our hope for the future for this line of research. But, it will not stop millions of dollars being invested in it by others. As long as there is money available, there are researchers willing to spend it. Please, please tell them, tell politicians, tell your neighbors to stop this madness. Millions die as does do the hope for a cure, while the quality of their lives could have been improved had we a more humane and fact-based approach to the priorities of how we allocated dementia research dollars. Don’t walk for a cure. Support the efforts. Fight to engage Alzheimer’s in those living with it, not primarily for those not living with it. Some evidence-based research now exists on lifestyle changes that reduce the chances of living with these symptoms. An all too slowly growing body of evidence and research exists of concrete ways to improve the quality of the lives of folks living with the symptoms. This type of research (psychosocial) is what needs to be supported, walked for, spoken up for. he priorities of how we allocate dementia research dollars. Don’t walk for a cure. Support the efforts. England has a National Strategy – we do not. Growing out of that strategy are dedicated pots of money from which communities can draw to fund their own plan. We have a plan without a strategy, or at least without an inclusive strategy. We have a National plan written without consulting the States who already have plans of their own. We are not inclusive in our plans, especially inclusive of individuals living with the symptoms of dementia (the English refer to us as those with lived experiences). We have an exclusive plan – geared almost entirely of researchers and their cheerleaders. The few representatives on the plan commission who are not researchers or in bed with them did not leave their imprint on our National plan. Welcome to the Dementia Partnerships (www.dementiapartnerships.org.uk) website, a resource for people, partnerships, and networks working to improve outcomes for people living with dementia, sponsored by NHS South of England. Find out more about their inclusive strategies and the plans that are growing out of these strategies at their website. This Challenge is for Clinical Commissioning Groups (CCGs), working with local authorities, Health and Wellbeing Boards, the NHS, the voluntary and community and independent sectors, universities, industry, and people with lived experience, to identify and implement practical solutions to the problems faced by people living with dementia. respond to the Prime Minister’s Dementia Challenge to identify and implement practical solutions to the problems faced by people living with dementia. The fund of at least £10 million is open to Clinical Commissioning Groups the South of England, offering the opportunity for them to collaborate with partners from any communities and sectors within the South of England, and beyond. This fund provides an opportunity for local communities across the South of England to respond to the Prime Minister’s Dementia Challenge to identify and implement practical solutions to the problems faced by people living with dementia. The fund of at least £10 million is open to Clinical Commissioning Groups in the South of England, offering the opportunity for them to collaborate with partners from all communities and sectors within the South of England and beyond. In addition to planning, organizing, and running a great Olympics, it is apparent they are also good at planning, organizing, and running an inclusive, balanced, fully-funded National Dementia (they don’t refer to it as an Alzheimer’s initiative) effort. “God save the Queen” (and the Prime Minister, a leader who is leading his people and government in a well thought-out response to the world-wide pandemic of Dementia). An increasing amount of research is being directed at finding ways to prevent Alzheimer’s. A study reported in the Archives of General Psychiatry (Volume 67, page 304) suggests that feeling like one has a purpose in life is linked to a reduced risk of Alzheimer’s disease and mild cognitive impairment (MCI) among older people. Over 950 participants, average age 80, from the Rush Memory and Aging Project were evaluated for up to seven years; none showed any evidence of Alzheimer’s at the onset of the study. The degree to which each participant felt he or she had some purpose in life was assessed on a questionnaire. Other variables, like depressive symptoms, size of social networks and education level, were recorded. During the follow-up period, 155 participants developed Alzheimer’s disease. Those who had a strong sense of purpose in life were 2.4 times more likely to remain free of Alzheimer’s than those who did not. They also had a reduced risk of MCI and a slower overall rate of cognitive decline. The associations persisted after controlling for other variables. Take away. The researchers note that having a purpose in life is a factor that can be modified, and strategies that help older people engage in meaningful, goal-directed activities may result in better physical and mental health and longevity. This is an example of having to prove the obvious before others will pay attention. In this world, everything is difficult. But, everything is possible. Therefore, whenever you face difficulties, know there are possibilities in all you seek. Richard’s New & Updated Website! Register for the upcoming A Meeting of the Minds Webinar! It is long past time for people living with the symptoms of dementia to turn to each other for information and support. This is a missing piece in the lives of many, many of us. Who better understands what it is like to live with these intrusive and erratic symptoms than those of us who must somehow cope with them every day? We are bringing folks with the symptoms of Dementia together into one online virtual room! In order to participate, we ask that you register first. For the USA, please register here. For CANADA, please register here. If you have a question or issue that you would like us to discuss during the Webinar, you may leave it in advance in the “comments” section of the form. You may also do so during the Webinar using the chat feature that will be available. 10 am Pacific Time is 12 pm Central Time. Laura and I look forward to meeting and greeting you in A Meeting of the Minds. See you there! These are major speeches plus the power point presentation I have written and spoken in the past couple of years. Those in red were recently posted. Click on this link to blast off to my cloud and read and/or download as many as you want. You can also send me an inquiry or request to book for a speaking engagement! I CAN! I WILL! is a website where people living with dementia, caregivers, volunteers, medical professionals and others can post their ideas and stories. Through words, photos and videos, they bring to the forefront their every-day coping skills, ideas for raising awareness, caregiving strategies, programs for living purpose-filled lives, and wonderfully inspirational stories, and they put a face on dementia that has not existed on a global scale until now. 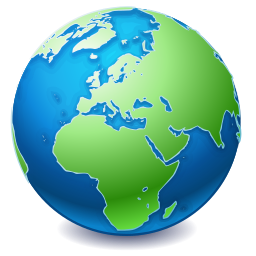 With postings from the UK, Turkey, USA, France, Hungary, India, the Czech Republic, Australia, Canada, New Zealand, Germany and other countries, the goal of the website is to collect information and ideas from our global “brain bank,” and encourage visitors to the website to apply those ideas locally in their own lives and communities. The I CAN! I WILL! website is an “idea library” and to help categorize the postings, each person’s contribution is filed in a “chapter” in a “book.” Each book is directed towards people who would benefit from the ideas filed in that book. So, for example, a person newly diagnosed with dementia might look in the People with Dementia book and find a chapter entitled Living with Early Memory Loss. In that chapter they will find ideas and inspiration for dealing with life with memory loss. The website is also searchable by name or topic and there is a Google translate button on the site to translate page content into many languages. I CAN! I WILL! is sponsored and hosted by Alzheimer’s Disease International and edited by Laura Bramly (Canada) and Louanna Cochirella (USA). The idea for the website came from Richard Taylor, and he continues as an advisor and contributor. 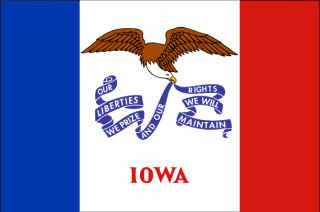 (www.facebook.com/ICanIWillDementia), or subscribing to the website, visitors can receive notification of new postings. Please visit ICAN!IWILL! (www.alz.co.uk/icaniwill), read some ideas, contribute your own thoughts, and tell your friends about this wonderful rich resource! The question is not, should you join others in walking (and donating of course) to end Alzheimer’s Disease. Since the local chapters depend on these walks, since their hearts, minds, and services directly, and with the exceptions of salaries, overhead, and a few dollars for advocacy – the dollars raised by these walks provide their working capital. To stay away from the walks because 30-40% of each and every walk produced dollar goes directly to the National Alzheimer’s Association to primarily support their *lemming like rush to spend their money and efforts promoting mostly research to find a “cure pill.” Ask specifically that your walk donation go to fund some specific service of theirs’. Personally, I prefer services and program for folks living with dementia. Write that on your donation check. There is no guarantee this will keep all the money in your local community, but it is the best you can do, given the attitude and contract of the National Association with each of their local chapters. This walk was formerly called The Memory Walk. When I was first diagnosed, walkers would wear a picture on their backs of someone they were supporting. The walk was leisurely, poorly attended, and most amenable to conversations between walkers. Now large numbers of walkers are important to the National Sponsors. Last year although the number of walks increased, the amount they raised decreased. Perhaps they are walking up the wrong street? Just grit your teeth/hold your breath and walk. Express your concerns and support with the local chapter about the bind they are in. Offer to donate something in-kind. Offer to donate your time. These two donations are not taxed I believe by the National Association. We need every local chapter, every local source of support we can create and support. Some chapters have left the National Association, but most remain trying to serve two masters. Guess which master (the National Association or the real needs of individuals living with the symptoms of any type of dementia) are given first priority when the donations are counted? The situation is to my way of thinking not right, not fair, not moral, and should be changed. But as we all learn over and over again, abstract concepts like right, fair, morals are just that – abstract, frequently open to individual interpretation. The universe, the world, we are all relative – related to what our mind tells us, what our feelings tell us. I so want to believe that it is right, fair, and moral to attend to those who cannot attend to themselves, the rub comes in how we decide to “attend.” Do we attend by scaring people into donating and supporting “cure” research instead of engaging and disabling stigmas, and donating and supporting “quality of life” research? 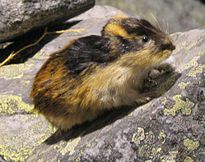 Lemmings are small rodents, usually found in or near the Arctic, in tundra biomes. The lemmings and voles are the rats and mice of the Arctic. The lemmings have very short tails. They live underground in summer. Because the top soil freezes in the winter, they cannot burrow underground then, so they live under the snow during the colder months. They eat plants and roots. If they find plenty of food, they willhave extra-large families that year. In a year with plenty of food, millions of lemmings will be roaming the tundra. The owls and foxes have more food than they can eat. They will have extra babies in the years when there are so many lemmings. However, the tundra does not have enough food for millions of lemmings. They rush across the tundra looking for food, and are eaten by predators or starve to death. Planning for Hope captures some of the most brilliant and passionate researchers exploring early diagnoses for this rare disease. Frontotemporal Disease or Dementia (FTD) has been misdiagnosed along with other neurodegenerative diseases that cause dementia in young people in their 40s, at the peak of their careers and in the prime of their lives. Most importantly, families have stepped forward in this poignant documentary to share their heart-wrenching stories of perpetual grieving, amidst financial struggles and caring for their loved ones. Sharing another aspect of hope, professionals explore financial and estate planning for FTD victims and their families. Today, there is no single known cause, treatment or cure for FTD, and the same could be said for most other forms of dementia too. You can view this entire DVD at this site. You can purchase it at this site. It is a labor of love produced by those who are living with some form of FTD and their caregivers. It took them many years to raise the money to make this happen. It is well worth their time and effort. If you might be interested, but want more information please check out these links: Developing Dementia Communities in the UK as well as Ligue Alzheimer. This is a movement that is very active in Europe, led by Alzheimer’s Europe, Alzheimer’s Belgium, and the English Alzheimer’s Association, but sad to say, has not “caught on” in the U.S. of A. Join yours truly in leading your community to make it a dementia friendly place to visit, shop, live in. For those of you who are long time followers of my newsletters, you may recall I have been tracking the claimed percentage of persons living with dementia who have a form of it called probable Alzheimer’s Type. When I was diagnosed, some nine or ten years ago the percentage was claimed to be 40%. Now if you read between their lines they are claiming more than 50% and perhaps, maybe as much as 70%. Guess which percentage (50%+ or 70%) will be used in the media and by many professions, all of whom should know better. Honest, this is just not me nitpicking. If they are to continue to use the lable Alzheimer’s Disease, instead of Dementia, it is surely in their best fund raising interests to be representing the vast majority of folks living with some form of dementia. There has been through the years a steady climb (inflation) of the % of people living with dementia who have probable Alzheimer’s. Some of this may be due to the hype effecting what diagnosing doctors are seeing . “I (mostly/only) see Alzheimer’s Disease when I look, not other forms of dementia that I don’t ‘know’ much about.”) and/or it is an accidential/purposeful inflation of the percentage to serve the fund raising efforts of some to redefine the Dementia crisis into the Alzheimer’s crises. You decide for yourself. I have. Alzheimer’s from the Inside Out is a stunning achievement. In this collection of essays, Richard Taylor gets at the essence of dementia, and how it has redefined his relationships with family, friends and even with himself.There are no answers when it comes to Alzheimer’s, but Richard asks all the right questions. Alzheimer’s from the Inside Out is much more than a resource for anyone dealing with the disease. Although the book includes plenty of practical information, Richard goes beyond test scores, standard medications and neuroimaging to the more important philosophical and psychological aspects of life after diagnosis. He takes the focus off the disease, and puts it back on the person. I wish I’d read this book when my father were alive. I would have worried less about what was wrong with him and worried more about just being with him. Thoughtful and self-reflective, this collection of illuminating essays offers a rare glimpse into the often incomprehensible world of individuals living with Alzheimer’s disease. Richard speaks to the public about living with the disease and sends out a challenge to the Alzheimer’s outsider. This new, 2-disk program is a compilation of honest answers about dementia from medical doctors, professional care partners, family members of those diagnosed with dementia, and a person living with it. Together, in this powerful presentation, G. Allen Power, MD., and Richard Taylor, PhD., redefine dementia, and challenge viewers to make a dramatic shift–from viewing dementia as a series of deficits to viewing it as a shift in the way a person experiences the world around them. Everyone talks of the Myths and Stigmas attached to the words you have dementia, probably of this or that type. What are some of these myths and stigmas? Folks living with the symptoms of dementia – breaking bread together in each other’s homes – creating new friendships and social support networks with other kindred spirits. Email me for a copy!